Xiris Automation specializes in “machines that can see”. We provide some of the world’s most dynamic manufacturers with the ability to detect, recognize, and interpret quality defects in their manufactured goods. As quality standards continue to rise, the expectation of quality fabricated products also increases. Reducing scrap rates and increasing productivity, while providing consistent quality welds are high expectations with no room for compromise. So, this raises the question: if you can’t see what you’re welding, are you confident selling it? Today there are tools that allow metal fabricators to ensure that what they are providing their customers is at the best possible quality level. One of the most effective tools for monitoring the weld quality is a weld camera. 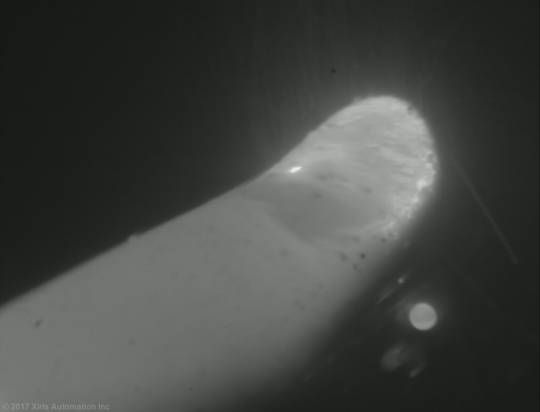 A weld camera, such as the Xiris XVC-O camera, provides the ability for the welding process to be monitored remotely by an operator. This allows the operator to monitor the process and make adjustments to ensure the welding process has the best quality possible, while increasing the health and safety of their work environment. The image above is an example of what the XVC-O system can provide. As you can see, most features in the welding environment are clearly visible: the weld tip, weld pool, filler wire feed, seam alignment as well as the surrounding background. This gives the operator enough information to make an informed decision about how to control the weld quality before problems develop. It also allows for reduced welding process set up time, as any errors in the welding process will be detected right away by the operator, minimizing down time and scrap. 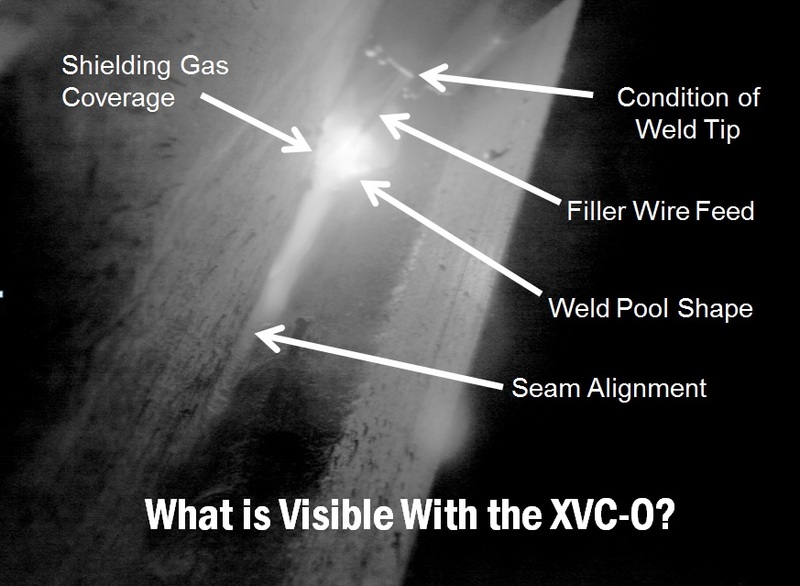 The XVC-O Weld Camera provides clear detail of the welding process, allowing for consistent, high quality welded products to be fabricated. Information on the XVC-O and all other Xiris products is available on our website www.xiris.com, including a library of recorded weld videos for your review.